My 7th grade art class just finished up this great project on emphasis through color contrast. It was challenging for them, but it is good to push beyond our normal skills! We don’t grow unless we are challenged! Students will observe & explore artworks with animals throughout history to see how animals have inspired artists. They will also learn about the principle of art called emphasis & explore ways to create it. Emphasis is the principle of design that stresses one area in an artwork over another area. 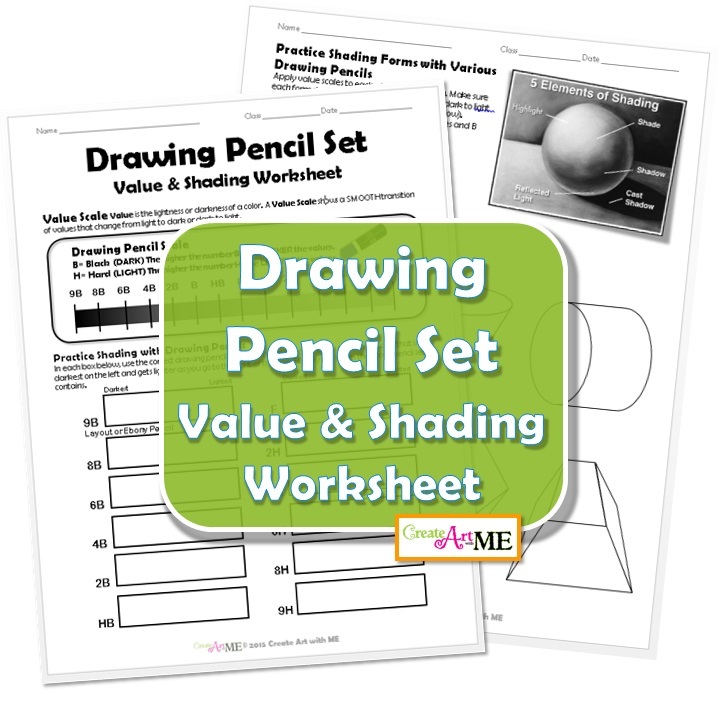 Learn methods of creating fur and feathers with drawing pencil sets. Learn ways artists use emphasis to create a focal point. As we observe animals we become students of God’s creations. The human artist is confronted by the original design genius of the Creator. Summarize the symbolism behind two animals in the Bible. Animals have appeared in art throughout history. Some of the earliest recorded art, ancient cave paintings, illustrate various animals including dinosaurs and deer. Some ancient Egyptian symbols include animals as well as ancient pottery. Animals have been used as symbols throughout history in various cultures. A symbol is an image that stands for or reminds us of or represents something else. Biblical Integration: As we observe animals we become students of God’s creations. The human artist is confronted by the original design genius of the Creator. Animals in the Bible: What are some animals mentioned in the bible? Do they have any special meaning? If so, what? The dove is described as like something graceful coming from heaven. In several of the Gospels, the Spirit of God descends upon Jesus at the point of His baptism. In Luke, the Spirit is actually described as looking like a dove. Jesus is described as being like a lamb for slaughter. Lambs were slaughtered for sacrifice in that era. Jesus spoke of being a shepherd and his people as being like sheep who need guidance and direction in life. What is Emphasis– Emphasis is the principle of art that stresses one area in an artwork over another area. Emphasis of an art element occurs when one art element dominates the entire work, and the other elements become less important. Contrast: occurs when one element stands out from the rest of the work. Contrasting Size: Large shapes stand out against small ones. Contrasting Shape: Circular shapes stand out against angular shapes. Location: occurs when the eyes are naturally drawn toward the center of an artwork. Anything placed near the center of the work will be noticed first. That being said, discourage the students from placing the main subject in the center of the paper-it makes for a less interesting composition. Show examples of black & white drawings with one area of emphasis of color. In your sketchbook, practice drawing fur and feathers. Assignment: Create emphasis through contrast in color by drawing a close-up view of an animal, showing at least one eye & about ¾ of the face. Render the animals face with full texture and shading using your drawing pencils- except the eyes. 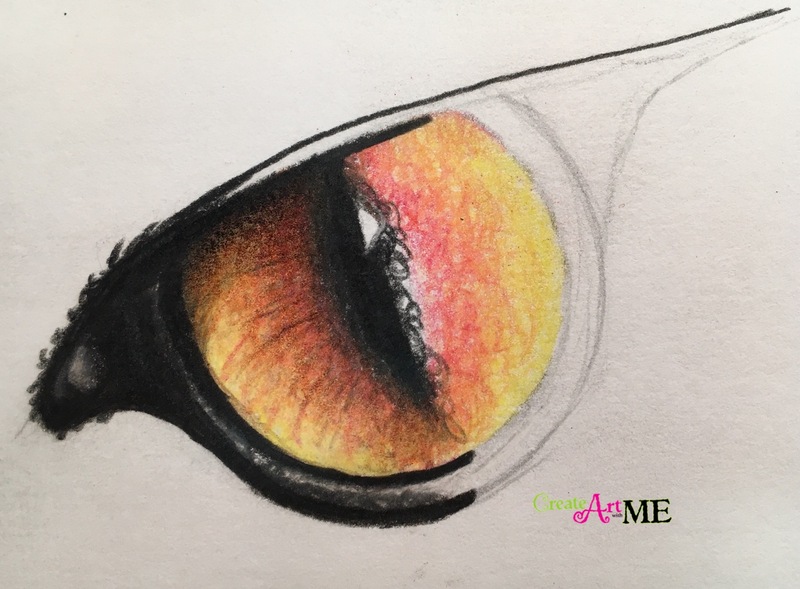 Use colored pencil to color the eyes. Pick an animal of your choice that has colorful eyes. Use selective cropping to compose an interesting composition of your animals face. Draw the cropped composition onto a 9×12” sheet of paper. Render the animals face with full shading using your drawing pencils, except for the eyes!! TIP: Follow the direction of the fur or feathers!!! Add spot color using colored pencil to color the eyes. Use the burnishing technique to give vibrant color to the eye. 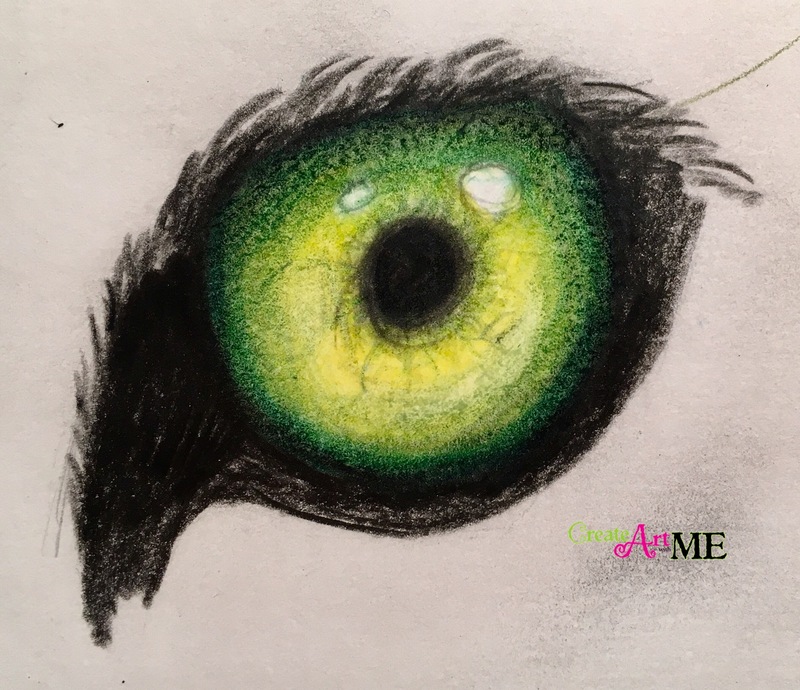 This post is © Michelle C. East – Create Art with ME. If you choose to reference any part of this post-written, photo or graphic, please link back to my blog Create Art with ME. Good lesson. I appreciate that you included a Biblical Integration section. I teach art to six of my grand-kids who are home-schooled; they are being brought up in a Christian home and I am a believer as well. So I view our creativeness as one of the traits we inherit from being created by God in His image and I try to glorify God in the lessons I teach. Thank you Juanita! I am a believer and teach at a Christian school so biblical integration is a natural part of my lesson plans. Blessings on you as you invest in your grand-kids! What an incredible legacy you are leaving with them!